Gucci was the presenting sponsor of the Giant Steps Charity Classic Six Bar and Gala north of San Francisco, which was attended by 550 guests. 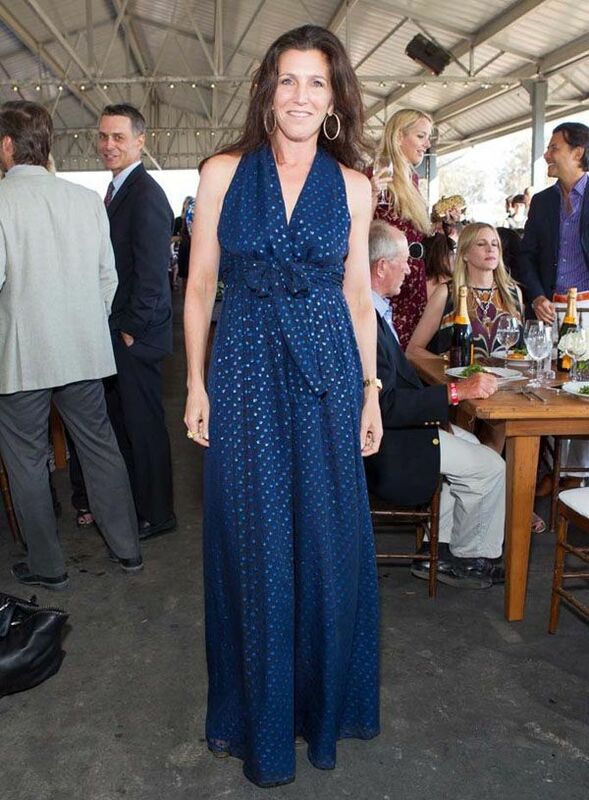 On Saturday, Gucci was the presenting sponsor of the Giant Steps Charity Classic Six Bar and Gala north of San Francisco, which was attended by 550 guests including Vanessa Getty, Gina Pell, Cecilia Harris, Zem Joaquin, Julie Chaiken, Christina Getty, Allison Speer, Helen McEvoy and Merrill Kasper. The week-long event at the Sonoma Horse Park facility in Sonoma County showcases top regional and national equestrians from across the country. The two title events of the weekend included the $40,000 Shaklee Grand Prix on Sunday afternoon. Sloan Barnett attended both events with her husband, Roger, and daughter, Violet, 8, who is an accomplished rider and ballerina. Sloan Barnett watched the six-bar jumping competition with a certain trepidation. “I was out there in the ring yesterday, jumping, and my heart was in my mouth,” she said. “The jumps look quite tame viewed from the stands, but from the back of a horse, high in the air, they’re very intimating.” Vanessa Getty had just flown in from Capri from an extended family vacation. “My favorite activity this summer was swimming with my children in the Blue Grotto,” said Getty. “It’s so beautiful and mysterious there.” Napa Valley equestrian Ransome Rombauer, whose collection of horses includes miniatures and rescue horses, had just returned from Palm Desert, Calif., where she competed as a junior. “Next week, I’m going back east to ride in national competitions,” said Rombauer, 15.